My parents were in town a few weeks ago for Mother’s Day and as is always the case with our pre-summer visits, talk quickly turned to reminiscing about my own days as a summer camper. My kids love these stories and always have a good laugh at my expense. I have spent my whole life in summer camp. I started at age six as an extremely homesick camper at Camp Ponacka. The middle of three boys, I was always the apprehensive one. I wouldn’t do sleepovers, I had to be forced into birthday parties and each summer on camp arrival day, I would chase my parents’ station wagon down the camp driveway crying, begging them not to leave me. My brothers, on the other hand, bounded into their new cabins. Of course these feelings only lasted a day or two and I quickly became hooked on camp. Who would have known back then, that I would choose a lifetime of camping? Our own family ‘camp story’ was the opposite – my daughter could not wait to turn six so she could move into a camper cabin and when the time came, it was not my daughter, but my wife Alyson sobbing at her door as she said goodbye. The rest of us watched her in amazement, because of course we live right on site during the summer and see our daughter all the time. Whether the tears are from a parent or from a child however, the tears are real. Parents are nervous about whether their kids are going to be okay. Will they adapt to taking care of themselves? Moms tell me: “My child has never brushed her teeth or shampooed her hair on her own, how will they do it?” And kids are nervous because everything is new (and in our case worry about whether their parents – read Alyson – will be okay while they are gone). As both a camp director and a camper parent, I feel I can confidently reassure families that both your child (and you) are going to be GREAT at camp this summer. Thompson says that in fact there are many things that parents can’t do for their children that camp does so well. He noted that parents can’t ‘give’ their children confidence, nor can they pick and manage friendships (or at least not as children age). Situations experienced at camp, like living in a cabin with eight other children, some of whom your camper loves, some of whom they may dislike, these situations help children develop self-control and empathy. Banding together with other campers to play a team game, to try new foods or even to overcome homesickness, all help build independence. 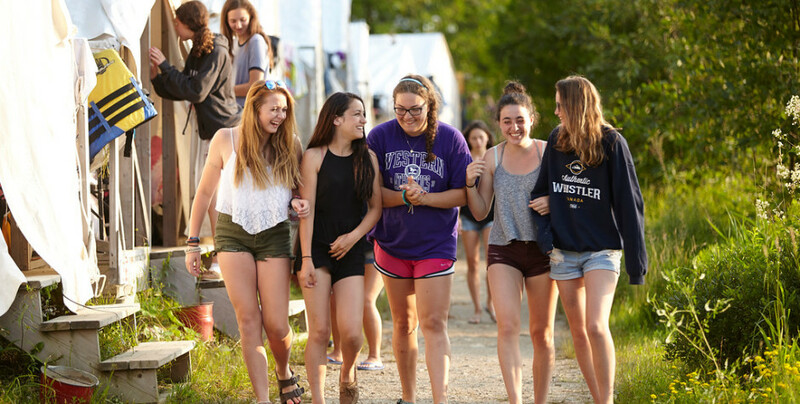 Feeling homesick is so common, but in these new times of need, campers rely and lean on their counsellors and their new friends to help them overcome these feelings. These are invaluable experiences they might not normally have at home. I haven’t met one parent who didn’t notice a change in their camper upon returning from camp. Parents notice that their child was better able to advocate for himself, took on more roles around the house, that he or she became more outgoing or comfortable at school or in new social situations. 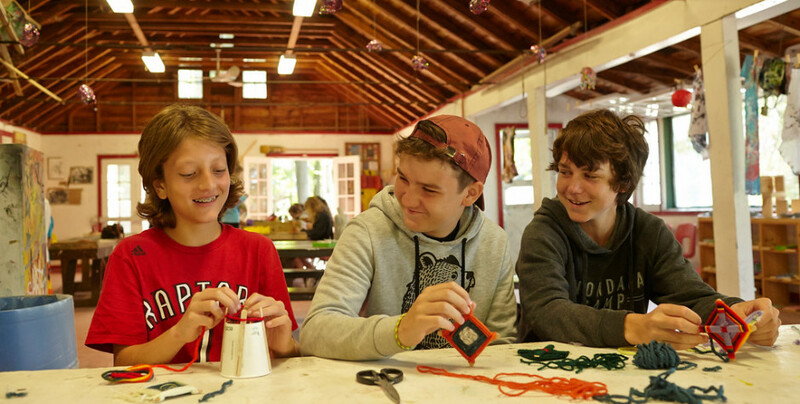 Camp provides our children with an outstanding experience, which we at Onondaga feel very proud to be a part of. Some of my closest friends in life are those I made during my camper days – the same kids that witnessed me chasing my parent’s car down the road but still welcomed me with open arms because we shared a strong and special bond each summer. At this wonderful place called camp. I am really looking forward to welcoming all of our campers — new and old — this summer and we hope to give them an experience of a lifetime. Wonderful story, thank you for sharing. As the time gets closer for our two boys to go to camp this summer for the first time I think they are getting less nervous and I am getting more nervous! I know they will have a fantastic time and I can’t wait for them to start the “camper” life, one I remember like it was yesterday! Thanks for sharing your reflections! Will be sharing them at our house before Friday! Thank you for sharing. The article is reflex’s my thoughts and feelings as a parent and I totally agree with the parent above the closer my daughter and son are to camp this summer for the first time I think they are getting less nervous and excited and I am getting more nervous…too funny! I’m with Alyson … I’m crying just reading this darn article! Heck, I looked into renting a near by cottage and buying a drone! No I did, (Battery life is less than 30 minutes in even the really expensive ones!) From the instant my son was born something inside of me changed, I had purpose, and that purpose was to protect my son. I don’t have the warm fuzzy camper memories, quite the opposite. My son isn’t me, he’ll be fine. He’ll be great. He’s already a confident, independent kid. My head knows that but…thanks for sharing and reminding me of all he’s going to get from this camp.